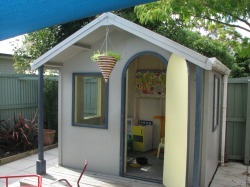 The preschool is open Monday to Friday from 8am to 5.00pm. We remain open during school holidays apart from approximately 3-4 weeks over the Christmas period. The office is open from 8.30am – 12.30pm, Monday to Friday. If you need assistance outside of office hours, please feel free to ring 322-8192 and talk to a team member. Children aged 3-4 years of age may be entitled to 20 hrs ECE per week. This is available to a maximum of 6 hours per day. Parents are required to complete an attestation form stating which hours are to claimed by the Centre under free ECE. Bookings which fall outside the 20 hours must be paid for at the hourly rate. Please feel free to contact us to discuss our fee options.